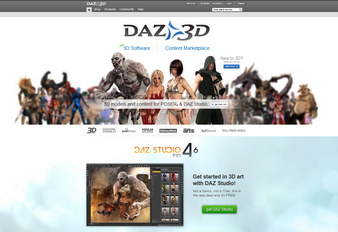 DAZ 3D is a digital art and animation company. Harnessing the graphic, powerful allure of three-dimensional images, they offer assistance with graphical design for books, videos and web graphics. DAZ 3D users have creative reign over their projects, as the easy-to-use software allows users to create animations and illustrations using custom designs and formats. The software allows users to easily select a character actor, a set, costumes and props and even adjust lighting, record action or capture photos. With a catalog that includes literally thousands of pre-made digital accessories, people can choose from an assortment of people, animals, aliens, clothing, hair, personal accessories, vehicles, landscapes, buildings and much more. Founded almost a decade ago, Adaptivity Pro has flourished under the visionary, creative leadership of CEO, Eric Morgan. Adaptivity Pro is an all-inclusive Internet marketing firm that features outstanding design services and comprehensive marketing solutions. With a talented team of programmers, writers and designers, Adaptivity Pro focuses on creating successful, revenue-boosting online presences for companies, while simultaneously generating leads that offer short-term and long-term profits. Adaptivity Pro has a broad range of experience, including working with furniture companies, restaurants, medical professionals, adoption agencies, lenders and even e-commerce sites.